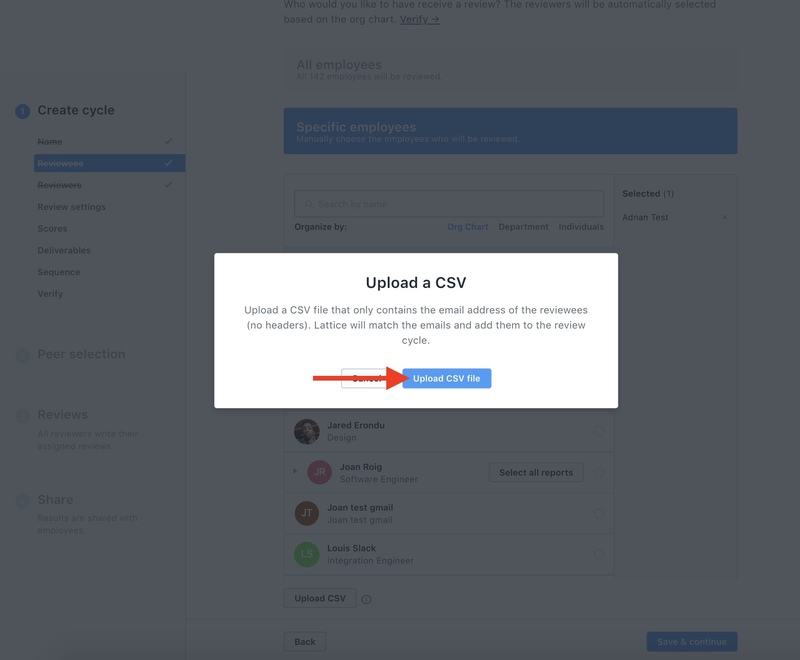 One option for selecting Reviewee's during the review cycle setup flow is to upload a CSV with those employees' email addresses. When you are in the setup flow in the Reviewees section, there will be an "Upload CSV" button on the bottom of the page. 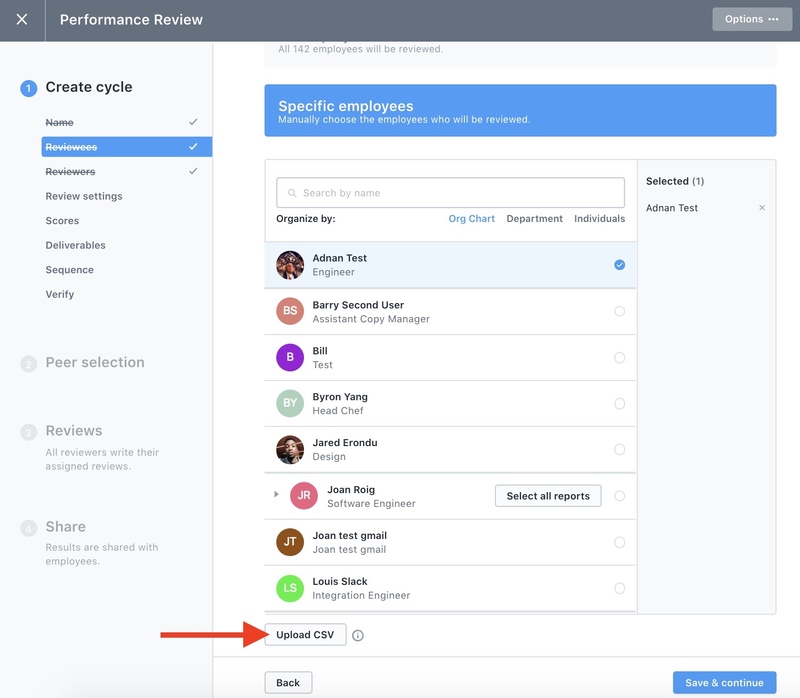 Click that button and upload a CSV with all of the employee's email addresses listed in the first column who should be included as the Reviewees in this review cycle. That's it! This is an easy way for you to collect specific participants outside of Lattice and create a review cycle with just those individuals.